Harry Tincknell will make his return to Jota Sport for this year’s European Le Mans Series season, as part of an expected dual-season program alongside his commitments as a Nissan factory driver in LMP1. The 23-year-old Briton was announced Tuesday as the replacement for Nick Yelloly in the team’s Gibson 015S Nissan with Audi factory driver Filipe Albuquerque and Simon Dolan, reuniting the same trio that finished runner-up in the championship last year. “Firstly, I’m very grateful to Nissan NISMO for allowing me to undertake the ELMS program with Jota Sport alongside my commitments for NISMO in the FIA World Endurance Championship,” Tincknell said. 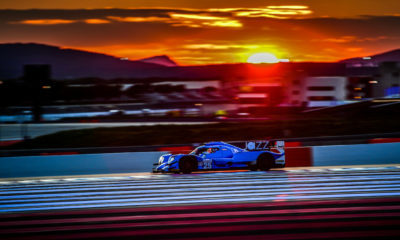 Tincknell joined Dolan and Albuquerque during the official ELMS pre-season test at Paul Ricard last week, marking his first time in the LMP2 car since last year’s season finale at Estoril. While Mitch Evans will take Albuquerque’s seat for Le Mans, no word has been given on the identity of the third driver in the team’s lineup for the French endurance classic. Tincknell is slated to be part of Nissan’s planned three-car effort at Le Mans, which would mark the debut race of the GT-R LM NISMO.